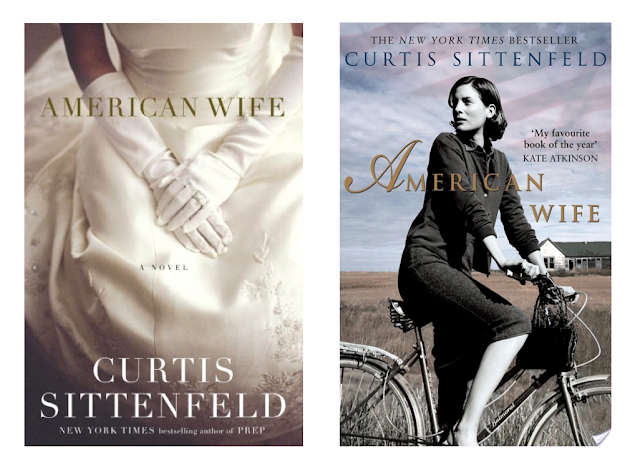 My book pick for July was Curtis Sittenfeld's American Wife, a book which has many fewer patriotic overtones than the title implies. The novel is a *very* thinly veiled biography of Laura Bush, who's alter-ego is Alice Blackwell in this novel. The setting trades Texas for Wisconsin, Yale for Princeton, and George W. Bush for Charlie Blackwell, but in the end, the novel tells the story of a woman who marries an aspiring politician with radically differing views from her own who goes on to start an incredibly unpopular war in the Middle East. The novel is divided into three sections and tells the story of Alice growing up in rural Wisconsin, as an elementary school librarian, and as the first lady of the United States. The first two sections were wonderful, and painted a very nuanced portrait of Alice, one that showed that her connection to Charlie Blackwell, who on the surface seems quite different from her, comes from Alice's traditionalist upbringing, even if by the time Alice and Charlie met, Alice had become much more liberal. The main tragedy of the first section, inspired by a true event in Laura Bush's life, becomes a turning point in Alice's life, and Curtis Sittenfeld seems to make the argument that Alice's attraction to Charlie, in spite of her liberal political leanings, stemmed from a desire to return to a simpler time in her life that she feels she robbed herself of. The last section of the book portrays one day in the life of Alice as first lady, in which she essentially tries to reconcile all of the loose ends in her life, and I thought this was the weakest, and least plausible, section of the book. Sittenfeld makes bold claims for Alice's political leanings and her justifications of the fact that she almost never contradicted her husband's views in public, but I thought this section, while providing some nice closure, did not do the first two sections of the book justice. I must admit that I do not know much about Laura Bush, although I certainly think she is an interesting figure. Apparently Sittenfeld's book was based on a 2004 biography of the first lady and bears many similarities to Bush's autobiography, which was published after American Wife. Parts of the book made me wonder how Sittenfeld got away with writing a book that so clearly resembles the life of a living political figure, but the book was very well written, and I'd recommend giving it a read! Just as an aside, how interesting are the differences between the American and British covers of the book?